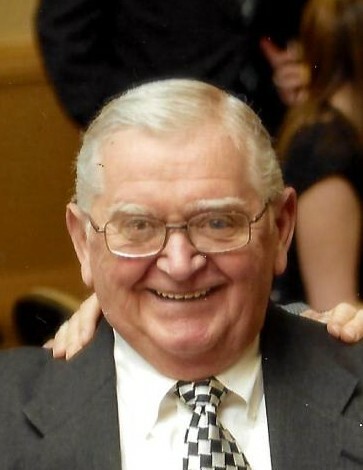 On January 25, 2019, Walter R. Lee, Jr., 78, of Severn, Maryland, passed away at his home. Walt was born on October 22, 1940, in Baltimore, Maryland to the late Estella and Walter Lee, Sr. He served his country proudly as a military police officer in the National Guard. He then went on to work at N.S.A. for 40 years. Walt was a member of Clowns of America International, serving on the board of directors as Sergeant at Arms for 21 years, and in 2010 he was one of the first two recipients awarded the Lifetime Achievement Award. He was also a member of the Baltimore Freestate Clown Alley #30. Walt was very involved with the Anne Arundel County Athletic Office since 1982 especially in Old Mill and was a Terp Host at the University of Maryland for over 30 years. Since the Ravens came to town, he was a member of the S.A.F.E. Management security team and loved rooting for all Maryland sports. Walt enjoyed making people happy as a clown, woodworking, and painting art. Walt is survived by his devoted best friend and wife, Shirley E. Lee; his beloved children, Skip Lee and his wife Kristen, Christopher Lee and his wife Kathleen, and Faye Airhart and her husband Mike; his cherished grandchildren, Brendon, Connor, Devon, Addison, and Emmi-Elizabeth Lee and Collin Airhart; his loving sister, Carol Strigle and her husband Lee; and his dear godchildren, Shari Underwood and John Strigle. He is also survived by many extended family members. Walt was predeceased by his beloved first wife of 42 years, Joanne N. Lee. The family will receive visitors at Singleton Funeral & Cremation Services, P.A., 1 2nd Ave, S.W. (at Crain Hwy), in Glen Burnie, on Thursday, January 31st, from 5:30 and 6:30. A Celebration of Life Memorial Service will immediately follow at 6:30 in the funeral home chapel. In lieu of flowers, memorial contributions in Walt’s name may be made to The American Cancer Society at www.cancer.org.